Between a senior’s heartfelt speech, dance, step, indoor percussion’s Into the Woods performance, student talent took over the fourth nine weeks’ Spring Spirit Assembly. Senior Will Spollen delivered spoke to students about working hard and conquering the challenges life may bring. 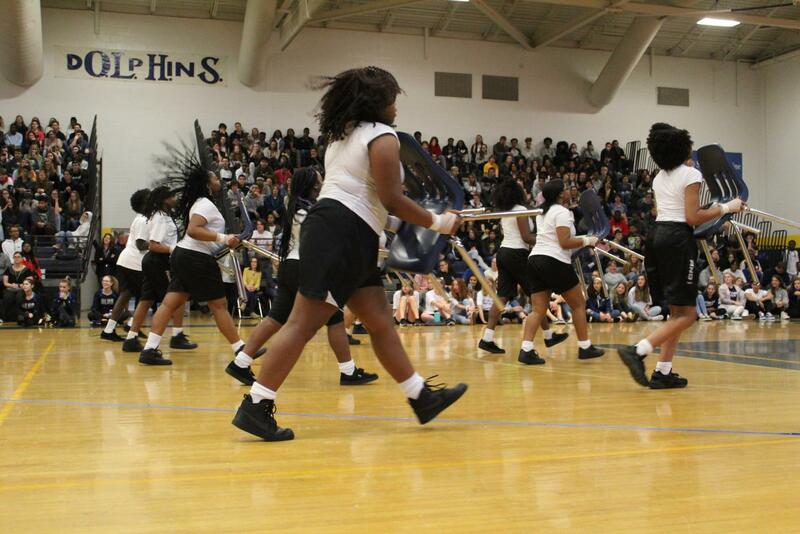 Royalty, the step team, never disappoints with their talented performances and loaded choreography. Indoor percussion performed Into The Woods, their Atlantic Indoor competition piece. SCA volunteered athletes and staff for a game of Hungry Hippos, and the sophomores won with a surprising 39 balls. The assembly came to a conclusion with P.E. teacher Yogi Boothe’s “I Am Somebody” speech.